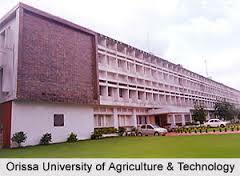 Odisha government is planning to set up a university dedicated to fisheries and veterinary science studies. “The colleges under the Odisha University of Agriculture and Technology (OUAT), which are dedicated to these subjects, will now fall under the new university, and the proposal is being processed,” state Agriculture Minister Pradip Maharathi said. College of Fisheries, Rangeilunda, in Ganjam district and College of Veterinary Science and Animal Husbandry, Bhubaneswar, – two constituent colleges of OUAT – were likely to come under the new varsity, Maharathi said. The new university would boost research in the subjects of fisheries and animal resources in the state, the minister said and asked the fishery students to pursue fish cultivation after their studies.